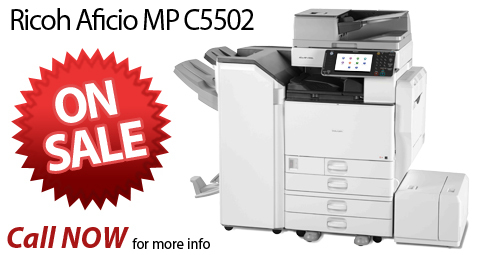 Welcome to Copiers Plus Inc.
"Changing the Way America Prints"
We are pleased to announce that we are able to offer the next generation of Ricoh Color Multi-Function Copier/printers. This next generation has improved on the already very reliable machines and color copy quality of the previous generations. Transitioning to this series is something were proud to offer as we are able to source very low metered, fully feathered and optioned models. Available in 35, 45, and 55 per minute models, pricing on these units are very cost effective as they typically cost half or less of new machines and are available for FMV lease options. These are certified Maintained Machines. Contract eligible and our Maintenance program is onsite and starts at $360.00 per year all inclusive, toner included. Servicing Sarasota, Bradenton, Ellenton, Nokomis, Venice, Englewood, Port Charlotte, North Port, Punta Gorda, Arcadia, Lakewood Ranch and surrounding areas. Lost your Service Contract or Maintenance Agreement? Tired of calling an 800 number only to be told to leave a message? Then hope you get a call back! With the recent merging of several major players in the copier industry, many businesses are being left to fend for themselves with Multi-Function copiers/printers that are in need of service or repair and no place to turn. Copiers Plus services all brands, makes, and models. We offer service contracts as well as parts and supplies for all models. If your company has been caught up in the buyouts and mergers, Copiers Plus can get you back up and running again quickly and keep you running smoothly. Our company is the Sales and Service Specialist of new, repossessed, refurbished, and end-of-lease office Printer, Copier and Fax machines for Sarasota, Venice, Englewood, Nokomis, Ellenton, Lakewood Ranch, North Port, Port Charlotte, and Punta Gorda. We help you to run your business economically and efficiently. Why pay retail prices for new office equipment when you can have the same quality in a pre-owned office copier ... you can't tell the difference. Our used machines come with the same warranty as a new machine. All equipment is thoroughly cleaned, tested and ready for a full coverage maintenance plan tailored to your needs. The office equipment we supply has a low meter reading and is available with all the options you need. Our technicians are certified to service all major copier and printer brands... in case you need an adjustment or repair. If you don't see your copier or printer brand and model on our website, email us with details of your requirements. We will help you select the right copier that meets your business and budget demands. Please review the Copier Plus site to discover how we can materially help your business.